Activated Carbon Block Filter - 5 micron - 2.75" x 10"
PCTO/2 carbon block filters are used worldwide as a cost effective filter for removing free chlorine. Every carbon block is made from coconut shell, palm or nut shell, and coal based carbons. Because of the unique pore structure of this carbon block, it is well suited for chemical adsorption. This includes VOC’s, while reducing chlorine and chemicals that result in taste and color issues. The extrusion process allows the production of a carbon block with more carbon and a low pressure drop. The service life of this carbon blocks is greatly extended by an outer layer of 5 mic polypropyleneno-woven pre filtration media. This creates what many say is a sweeter, better tasting water. 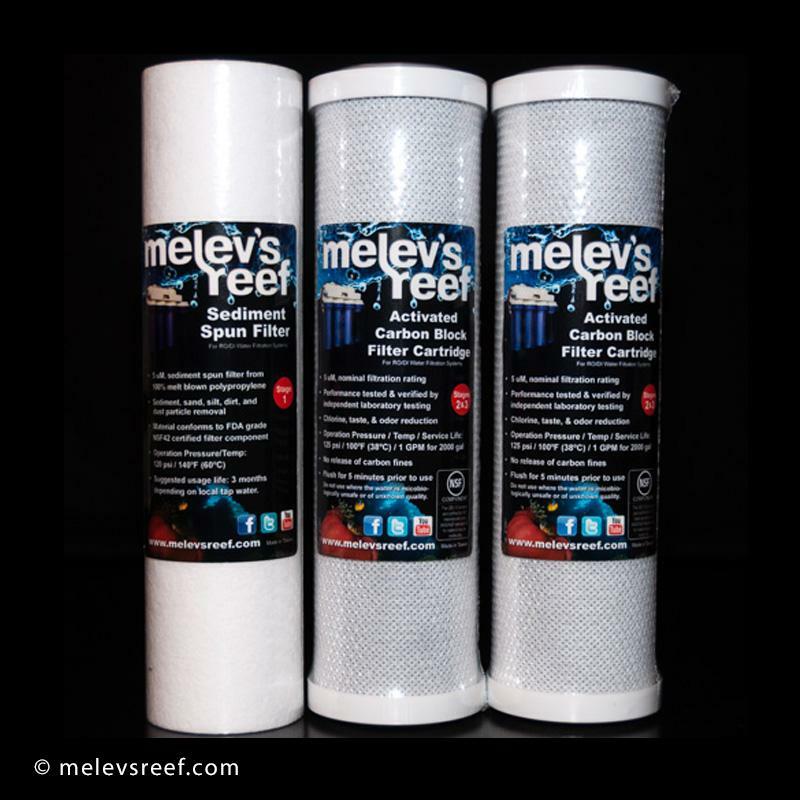 Melev's tip: Chlorine Adsorbtion Capacity is 2000 gallons at 1 GPM. A 100gpd system runs .35 GPM, thus a carbon block is good for 6000 gallons (1 part product and 4 parts brine (or waste) water combined), which comes to 1200g of pure water... or 200-gallons of RO/DI water per month for six months. Changing the prefilters before the membrane every six months is best, because the carbon blocks are protecting the membrane from chlorine damage (chlorine eats the membrane, basically). And it's easier to remember to change them every six months, right? Posted 15 hours 56 min ago.